It is used to test the filter efficiency and blocking life of fuel filter. 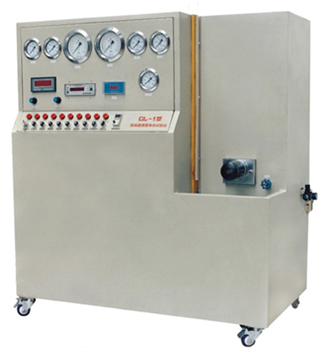 1.Use U-type pressure meter and precise pressure gauge to measure the pressure difference. 3.Equipped two 0.8¦Ìm stainless steel precise filters to ensure the testing oil cleanness.